2- PACK Mix N; Match - SAVE on SHIPPING ! 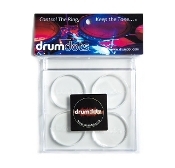 This hinged metal case is durable, ready to slip right into your gig bag for easy storage and travel. 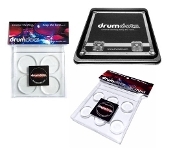 The road case replaces up to 5 Original drumdot cases. 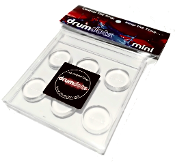 drumdots mini are made of the same AMAZING material as the Original drumdots. Minis are 1/2 the size providing limitless veratility. 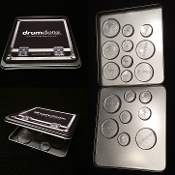 drumdots... 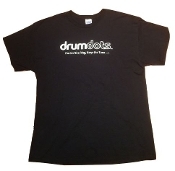 The Only product Engineered to"Control the Ring, Keep the Tone"
Basic Black Tee Gildan, 100% Pre-Shrunk Cotton.